Hey! guys, it’s Dart Goblin FTW(Regeneration) and a little congrats to me for making this 5th guide! I believe that I have definitely improved ever since my first submitted guide, and I hope to continue to improve as I go forward! And now for the deck! Miner: First win condition. Ever since the recent nerf to the spells and elixir collector, this guy got an indirect buff. Now, even if you have the miner at level 1, he shuts down a max level pump with 8 swings. And if you’re like me then you probably have a level 2 miner who will shut that max level pumps down in 7 swings. Chances are people won’t be carrying max level pumps anyway but my point remains true that miner will now completely shut down pumps. He’ll continue to counter the same cards he always has too, like the princess, dart goblin, archers, etc. Besides pump killer, his role here is chip damage(so that he somewhat acts as your tower chipping spell) and mini tank on counterpushes. He also makes a decent substitution for the knight, but he can’t shut down the mega knight and some other troops knight would. Overall great card. Hog Rider: Second win condition. I know that he got a hit speed to nerf recently but it didn’t murder him(unlike some other cards…), just kept him in check. Still a great win condition, still a great threat if left unattended, still the same old 4 elixir speedy tower killer that we know and love as the hog rider. He’ll be dealing most of the damage in this deck, so just know when to use him and when not to. Fun fact: With the nerf to Hog and buff to guards, Hog will only get one hit off with guards(if played correctly). Guards: FINALLY THEIR TIME HAS COME TO STEP OUT OF THE SHADOWS. Supercell finally buffed them and with the goblins getting nerfed simultaneously, I like these guys more and more. They’re like the 1 elixir skeletons except beefed up and can survive 6 PEKKA swings(doing some quick math Pekka would take 5.4 seconds to take them out. Not to mention her slow movement speed and the fact that she can get lured all the way into the middle). 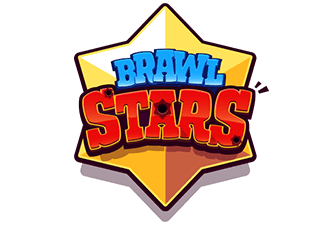 They are your defense against strong single target troops mini Pekka would be crippled by or even die to like elite retards(I like that name lol), lumberjack(better to gain that 1 elixir advantage), the bandit(neutral trade), crippled knights, etc. You can surround bowler, the newly released hunter, mega knight(without the jump), etc. with them as well. They also have shields, so most people usually log them since zap can’t take them out(unfortunately that probably won’t help you out in this deck). Not much else to say, I just really like them now. Mini Pekka: Anti-golem. Anti-hog. Anti-miner. Anti-siege. Anti-aggro troops. Need I say more? He’s your primary defense against your opponent’s win conditions, support troops(for witch and night witch get rid of skeletons/bats first), and single target troops(except lavaloon). On counterpushes(if you have the elixir), you can pair him up with miner and fire spirits. If the opponent is low on elixir, GG. Mega Minion: Balloon killer, mini tank killer, flying killer. Mega minion is just such a good defensive card for 3 elixir; he now belongs in this deck in place of say, bats or minions. High damage, high HP, low cost. 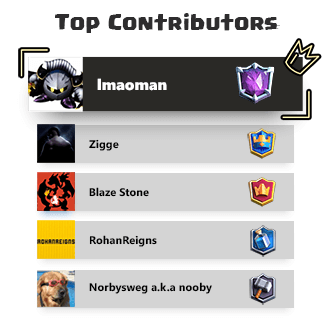 He’s also your emergency hog counter(you have mini Pekka and guards already). Wizard: I actually wanted Hunter in this slot to make a Hog Hunter deck, but he just couldn’t provide enough splash and I’d get wrecked whenever I used Hunter to stop a troop and he’d only get one hit off. Then here comes the wizard. For 5 elixir, he’s hard countered by fireball, poison, lightning, and rocket. But he’s such a good support troop. He was what I needed too: A splasher who can go from defense to a counterpush. His damage is great too. Protect the wizard, and watch him go to work on lava hounds, mini tanks, and tanks. Just make sure not to give value fireballs, lightning, poisons, etc. Lightning: RIP. I know it’s a bad card now but I really need a heavy spell that resets infernos. Besides, people won’t expect lightning. Make sure you get value with the lightning and don’t forget that most lightning you used to use wouldn’t work anymore because of the range nerf. Sometimes you want to just wait until the support troop reaches the bridge so that they place more troops and you get more advantage. Fire Spirit: Underdog and underrated. Wipe out minion hordes and weaken barbarians for +3 elixir, supports for the 2-3 elixir, and swarms for +1. Main counter to cards like goblin barrel, goblin gang, princess(if only you could have 8 fire spirits cards as a deck lmao), etc. Use these wisely. You can drop them at the bridge for some quick 300+ damage but then your opponent could rush you with a miner minion horde combo. Just make sure you have the counters to any potential problems not having firespirits in your hand when you play this card. Like I said, one misplay can cost you the game with this card. This is just my personal recommendation on leveling up cards(including priorities). Feel free to differentiate from me and have your own opinion on priority and card levels. Fire spirits: They should be equal level to your opponent’s king towers(if you face level 9 a lot, then level them up to at least level 9. That way they survive one tower hit). Hog Rider: Main damage dealer, more upgrades mean more damage which means more wins. Should be at least tourney standard and pretty equal to your other rare card levels. Mega Minion. As long as he can take out barbarians 2 levels higher than him(level 9 barbs, level 7 mega minion, etc.) in 2 shots with tower help, he should be good. Mini Pekka. You’re really only upgrading his damage IMO so just keep him at least tournament standard so that he doesn’t hit so weakly. Guards: At level 6 a max level zap can not zap off the shields. Since you’ll really be using guards just for defense, you really should keep it at minimum level 4. I recommend level 6 if you face maxed out players a lot. Lightning. Sighs Where did it all go wrong level 5 at the minimum, not much else to say. Miner. Level 1 is excellent, level 2 is better. I have mine at level 2, but interactions won’t change as much. First Minute: Split Guards in the back, Wizard in the back, Mega Minion at the back left the corner, Hog at the bridge to start off(Mini Pekka not recommended because it’s your only true tank killer. Fire spirits not recommended because they can punish with a miner minion horde combo[unless wizard is in the rotation in which case, dump them at the bridge and try to cycle back to it]. The miner not recommended because you want to save lightning for support troops). Test with the Hog, feel out their counters to your cards(focus on miner and hog counters). Second Minute: Just defend your opponent’s pushes and counter push with either miner or hog(depending on their counters). Try to get the tower to around 1000 before this time ends. X2 Elixir: Miner+Hog+Firespirits is your main push. You just want to spam Miners and Hogs at this point. If they pump up, punish them with the miner on the pump, Hog+firespirits on the weak lane. Add any troops you have left over from defense and counter push with them. Sudden Death(OT): Lightning, Miner, and Hog cycle. Most likely you’ll get a 1-0 victory. The good news is you have a strong defense, which really helps in spell cycling. Each card has a general archetype where it seems to work best. In 2v2 this is important to know since some archetypes work better than others. TL;DR: If your opponent uses a siege deck, try to avoid using Wizard, Miner, and Hog Rider with the siege weapons. Everything else should be either ok or great. 3M: Lightning the side with 2, fire spirits/mini pekka/guards for the 3rd one. If they drop all 3 at the bridge(?) quick drop guards then fire spirits(guards to tank, spirits to kill). Golem: Mini Pekka. Boom. Add Wizard, Mega Minion, and/or Guards if necessary. Be sure to lightning any mega minions, night witches, and baby dragons they might have. 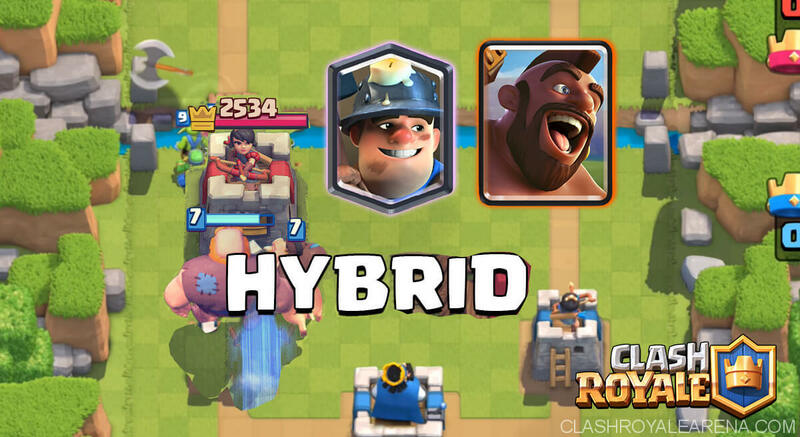 Miner the pumps, add Hog and/or fire spirits to the push. They’ll most likely counter with goblins so switch up the miner placements. Be wary of lightning. If they plant the golem in the back, rush the other lane with Hog+fire spirits(add miner if you can cycle back to it for the pump). Pekka: Guards are excellent here. If all goes to plan, you can counter a lone Pekka with just guards and mega minion. Add wizard if necessary. Again, lightning the support units. In the pekka miner variant, wizard on the miner(out of poison range), then guards+mega minion on pekka. 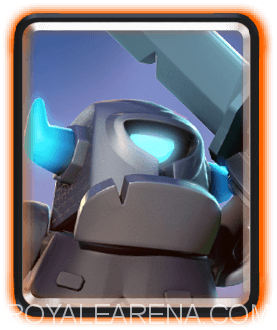 Mega Knight: Mini Pekka. He will survive just barely at tournament standards(level 7 vs level 1), but he should be on your side of the arena. Add wizard, fire spirits, and/or mega minion if needed. Use guards on Hog if they run Mega Hog. 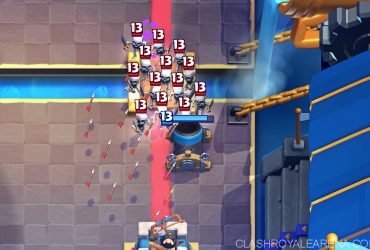 Lavaloon: Wizard is critical here. Mega Minion on Balloon, Wizard on Lavahound. Hog usually gets 1-2 guaranteed hits off every time you send him since their defense is really weak. DO NOT GIVE SPELL VALUE. 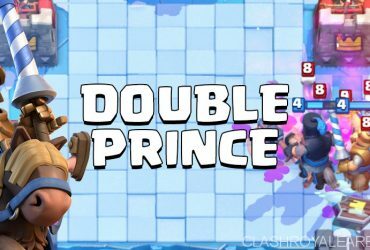 Cancer Decks(RG and Elite Barbarians): Mini Pekka for RG, Guards for Elite Barbarians. Add fire spirits and/or wizard if necessary, counterpush whenever you can. Giant: Same as Golem, except pay attention to the support troops they have. They do have more elixir after all. Hog Rider: Mini Pekka, Mega Minion, and Guards are great counters to Hog. Keep up with their cycle and focus on using Miner and Hog more often. Shouldn’t be too much of a problem. Spellbait: UGH. The Logbait deck got super nerfed, but they still exist in ladder and challenges. Fire spirits for barrel, Guards for Goblin Gang, Mini Pekka for Knight, and Mega Minion for princess. Now, what do they have for Hog Rider let’s see… uh… Inferno Tower… BAM LIGHTNING. They will probably counter the miner with either Knight or Goblin Gang, and if they counter the miner with the gang, pig push that lane with Hog+ fire spirits. You can use guards for the barrel, wizard for Goblin gang or princess, and mega minion for knight(this is the emergency counter lineup). Watch out for rockets. IMO the hardest one for this deck. Off meta decks: Just remember what cards your opponent has and what cards you can use to counter their cards. I include double prince in this section BTW. I think you know how to counter the rest of the cards. And if you don’t, just look it up! I think I covered most if not all deck types.